Trumpeter Lee Morgan and wife Helen in 1970. The couple's tragic story is the subject of the documentary I Called Him Morgan, directed by Kasper Collin. It's been a good year so far for jazz at the movies. La La Land, a modern-day love story in the style of Jazz Age musicals, has a heap of Oscar nominations. Elsewhere, in a much quieter affair, the documentary film I Called Him Morgan — based on the story of jazz trumpeter Lee Morgan — will open theatrically next month. Both of these films caught the eye of Christian McBride, Philly-bred bassist and host of NPR's Jazz Night in America. 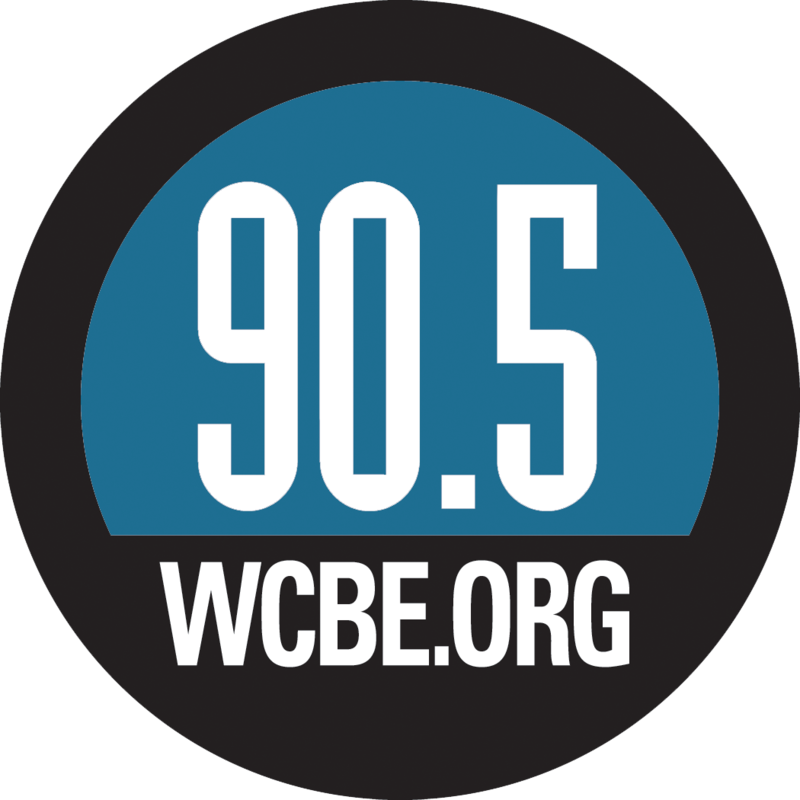 He joined Audie Cornish on All Things Considered to talk about how the two stories offer contrasting visions of the working jazz musician; hear their conversation at the audio link and read an edited version below. Audie Cornish: I Called Him Morgan is a film by Kasper Collin. It played at a few festivals in 2016, and it's about Lee Morgan, who was shot by his wife in 1972. Had you heard of the story of Lee Morgan before this? Christian McBride: Absolutely. Lee Morgan not only was one of the greatest trumpet players in the history of jazz, but he was also a Philadelphian — so if you were a jazz musician from Philadelphia, Lee Morgan is one of the first names that you hear. And I think when something like a crime of passion is involved, that story is always going to be told. I heard about it probably as early as 8 or 9 years old before I even really knew much about jazz. But the documentary is very thorough: You get to hear stories about Lee Morgan directly from the men and women who were there, who knew him, who saw him, who were there the night he was killed. [When he died,] Morgan artistically had progressed from being simply a post- Dizzy Gillespie, post-Clifford Brown trumpeter, to really being on the cusp of some very progressive music. He was really about to get to something big. The film depicts drug addiction, violence — it really presents Morgan as someone who's very flawed, not innocent himself. Do you think this kind of traffics in the stereotypes of the tragic jazz figure? More than anything else, I think it depicts our interest in always wanting to find the jazz musician who was on drugs or has been in violent relationships. We have some sort of fixation with that. Somehow, the story of the jazz musician who ends up victorious, who kinda strays away from the drugs or the violence or the alcohol or that sort of lifestyle — that's not fun to watch, somehow. But the most important thing, which I hope happens, is that someone will get curious to actually go back to find out about Lee Morgan's music. It's about the music that he made that touched people, that inspired people and inspired a whole generation of trumpet players. This brings me to La La Land, because that movie been talked about so much in the context of its music. This is a story of a couple that falls in love: He's a jazz pianist, she's an aspiring actress. I want put to you the criticisms that I've heard of this movie — number one, that it's got too simple an idea of what jazz is, almost like a trapped-in-amber ideal of the music. You know, after I saw this movie, my first thought was, "Who would focus on how jazz is portrayed in this film?" To me, the story of "jazz," quote-unquote, is not as important as the story of these two young people trying to pursue their dream. So you're fine with it being a backdrop. It is a backdrop, you know? I don't think anybody is going to see this movie and their first, second or third thought is "jazz." To me, this is a love story. But I think at a certain part of the film, there is this discussion. Because the Ryan Gosling character, he kind of considers himself this evangelist for the music — teaching her to love it, complaining about people not listening to it anymore. And at one point he joins a band led by John Legend, who's doing something a little more, let's say, complicated. Well, a little more commercial, shall we say. I'm not an expert, but I remember sitting there and thinking, this is nothing like what young, up-and-coming jazz artists are doing at all — who are getting commercial success. I don't think that scene was really made to depict what's happening now. I think what it's trying to give an example of is: Here's this young, as you say, evangelist for traditional jazz. He's trying to be the most dedicated jazz pianist that he can be — but he's not getting any work. So then, John Legend offers him a gig: "Look, it's not straight-ahead jazz, but hey — you need a gig." And at some point he decides, "Yeah, you're right, I do need to work. I do need to pay my bills." And musicians are confronted with that all the time. It happens more often than not. And it's happened throughout generations, too. Musicians who want to play their own music, or they want to play music that moves them — a lot of times, it's not that easy to do that. So they might have to take a gig in a band that they may not necessarily want to play in, stylistically. They may play in pit orchestras, or in a TV band. That's not necessarily what they may want to do, but they have to work. We are musicians, but we are also professional people. Finally, the unspoken thing, I think, has been about where you have movies about jazz and there are not people of color at the forefront of it. Well, I was thinking of some of the movies of the past that have sort of been jazz-based: I think of Cabin in the Sky, or Stormy Weather, or Carmen Jones, or A Man Called Adam, or 'Round Midnight, or Mo' Better Blues, or Love Jones, or Miles Ahead. I'm not sure I focus too much on the race thing as I concentrate on, the jazz musician is always despondent, the jazz musician is always the underdog, the jazz musician is always the one who has these drug problems or alcohol problems or problems with violent relationships. We want to see a movie where a jazz musician actually wins in the end. You take another movie like The Man With The Golden Arm, where Frank Sinatra plays a heroin-addicted drummer, and I'm thinking, "Wow, OK — it doesn't matter if you're black or white." You just have to be a jazz musician, and they're gonna put you on something: heroin, cocaine, something. There is that issue in the history, but I wonder if it has to do with the broader stereotype of the mad creative genius. I suppose, but the thing is: There's so many mad creative geniuses who've never gone through that. Maybe one day someone will make a movie about Wayne Shorter. He's one of the greatest mad creative geniuses ever and he never went though that. So that would be a nice, victorious, wonderful, interesting story to see. It was a good year for jazz at the movies. "La La Land," a modern-day love story in the style of jazz-age musicals, has a heap of Oscar nominations. Elsewhere in a much quieter affair, the documentary film "I Called Him Morgan" based on the autobiographical story of jazz trumpeter Lee Morgan will open theatrically next month. Both of these films caught our eye because of the contrast. Now to talk more about it, I'm joined by bassist Christian McBride, host of NPR's Jazz Night in America. Welcome back, Christian. CHRISTIAN MCBRIDE, BYLINE: How you doing, Audie? CORNISH: Pretty good. So I want to start with "I Called Him Morgan." This is a film by Kasper Collin. It played at a few festivals in 2016. 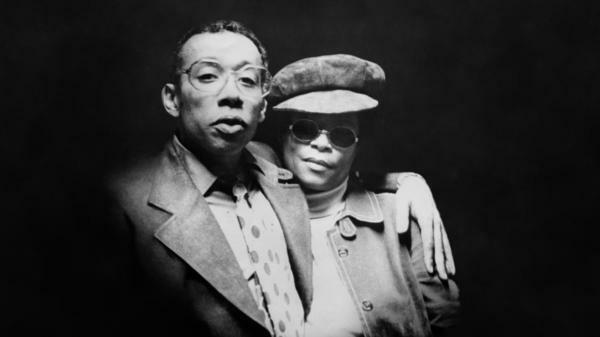 And it's about Lee Morgan, who was shot by his wife in 1972. UNIDENTIFIED MAN: I was destroyed, man. And then, you know, I was curious about what happened to Helen. And then I heard that the police had arrested her and taken her to jail. And you know, I never saw her again. CORNISH: Christian, had you heard of the story of Lee Morgan before this? MCBRIDE: Absolutely. Lee Morgan not only was one of the greatest trumpet players in the history of jazz, but he was also a Philadelphian. So if you're a jazz musician from Philadelphia, Lee Morgan is one of the first names that you hear. And I think when something like a crime of passion is involved, that story is always going to be told. I heard about it probably as early as 8 or 9 years old, before I even really knew much about jazz. But the documentary is very thorough. You get to hear stories about Lee Morgan directly from the men and women who were there, who knew him. And it's a very moving documentary. CORNISH: Right. It's this portrayal of this relationship and this kind of, like, slow build towards tragedy essentially. Just to give people a sense of his work, I want to play a clip of him from a performance on an album, "Live At The Lighthouse." This track is called "Absolutions." MCBRIDE: That's one of Lee Morgan's greatest releases. And the song was written by Jymie Merritt, the bassist who's also from Philly and who's also in the documentary. In fact, it's very moving. He never came to New York ever again after Lee Morgan was murdered in '72. So what we're hearing on this song is sort of Lee Morgan's last days. This album was recorded in 1970, and Lee Morgan artistically had progressed from being simply a post-Dizzy Gillespie, post-Clifford Brown trumpeter to really being on the cusp of some very progressive music. He was really about to get to something big. CORNISH: You know, this brings me to the movie "La La Land" because that has been talked about so much in the context of its music. This is a story of a couple that falls in love. He's a jazz pianist. She's an aspiring actress. And I want to play a little bit from the Oscar-nominated original song "City Of Stars." This is with music by Justin Hurwitz. RYAN GOSLING: (As Sebastian, singing) Who knows? I felt it from the first embrace I shared with you. EMMA STONE: (As Mia, singing) That now our dreams - they've finally come true. CORNISH: So that's Emma Stone singing there along with Ryan Gosling. Now, Christian, I want to put to you the criticisms I've heard of this movie, which is that number one, it's got too simple an idea of what jazz is, almost like a trapped-in-amber ideal of the music. MCBRIDE: Well, you know, after I saw this movie, my first thought was, who would focus on how jazz is portrayed in this film? To me, the story of "jazz," quote, unquote, is not as important as the story of these two young people trying to pursue their dream. CORNISH: So you're fine with it being a backdrop. MCBRIDE: It is a backdrop. You know, I don't think anybody is going to see this movie and their first, second or third thought is jazz (laughter), you know? To me, this is a love story. CORNISH: But I think at a certain part of the film, there is this discussion because the Ryan Gosling character - he kind of considers himself this evangelist for the music and, like, teaching her to love it and complaining about people not listening to it anymore. And at one point, he joins a band led by John Legend, who's doing something a little more, let's say (laughter), complicated. Here's some music from that. MCBRIDE: Well, a little more commercial, shall we say. JOHN LEGEND: (As Keith, singing) I don't know what your name is, but I like it. I've been thinking about some things I want to try. MCBRIDE: Yeah, that's some swinging jazz there, baby (laughter). LEGEND: (As Keith, singing) I want to do with you. And I just know I feel so good tonight. CORNISH: OK, so I can tell you (laughter) I'm not an expert, but I remember sitting there and thinking, this is nothing like what young up-and-coming jazz artists are doing at all who are getting commercial success. MCBRIDE: Well, I don't think that that scene was really made to depict what's kind of happening now. I think what that really describes or what it's trying to give an example of is here's this young, as you say, an evangelist full of traditional jazz. He needs a gig. You know, so then John Legend, you know, offers him a gig. He said look; it's not straight-ahead jazz, but hey, you need a gig. And so at some point, he decides, yeah, you're right. I do need to work. I do need to pay my bills. And musicians are confronted with that all the time, so I think that's sort of what that part of the movie depicts. CORNISH: Finally, the unspoken thing I think has been about where you have movies about jazz and there are not people of color at the forefront of it. MCBRIDE: I mean I was thinking of some of the movies of the past that have sort of been jazz-based. I think of, like, "Cabin In The Sky" or "Stormy Weather" or "Carmen Jones" or "Miles Ahead." I'm not sure I focus too much on the race thing as much as I concentrate on the jazz musician as always desponded. The jazz musician is always the underdog. Like, take another movie like "The Man With The Golden Arm" where Frank Sinatra plays a heroin-addicted drummer. And I'm thinking, wow, OK, it doesn't matter if you're black or white. Even if - you just have to be a jazz musician, and they're going to put you on something - heroin, cocaine. CORNISH: ...If it has to do with the broader stereotype of the mad creative genius. MCBRIDE: The thing is, like, there's so many mad creative geniuses who've never gone through that. Maybe one day someone will make a movie about Wayne Shorter. You know, he's one of the greatest mad creative geniuses ever, and he never went through that. So that would be a nice, victorious, wonderful, interesting story to see. CORNISH: All right, well, Christian, I hope Hollywood is listening. MCBRIDE: Hear me, Hollywood? Call Wayne up. He's right there (laughter). CORNISH: Christian McBride, jazz bassist and composer - he's also the host of NPR's Jazz Night in America. Thank you so much. MCBRIDE: It's always a pleasure to talk with you, Audie. (SOUNDBITE OF WAYNE SHORTER SONG, "NIGHT DREAMER") Transcript provided by NPR, Copyright NPR.